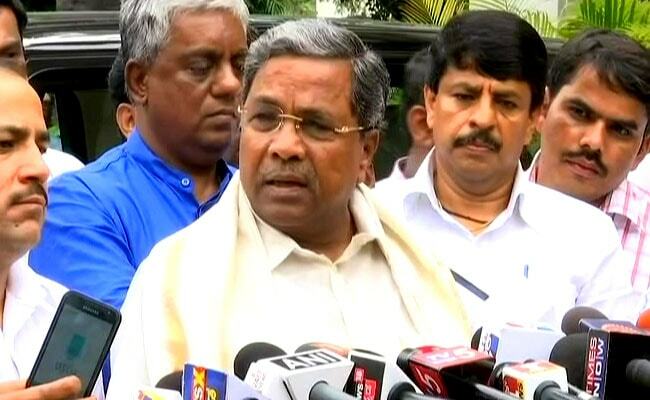 Former Karnataka Chief Minister Siddaramaiah Saturday said he was prodded by Lingayat leaders to recommend reservation for them and that his government's recommedation to the centre to grant religious minority status had led to opposition unleashing false propangda against him. Recollecting how Buddhism and various sects emerged to give social justice to the downtrodden, Mr Siddaramaiah recalled how the movement to recommend grant of religion tag to Lingayats gained momentum ahead of the May 2018 assembly polls. "What was wrong in that? What was my mistake? But that led to false propaganda against me (by the BJP) That's the reason that I am very careful while talking about religion," he said. The decision was based on the report of an expert committee that had recommended considering grant of recognition as religious minority to the Lingayat and Veerashaiva Lingayats.